This Ruth Bader Ginsburg Picture Book Will Teach A New Generation Why She's The Notorious R.B.G. If you love the Supreme Court's fiercest justice and want to share her awesome strength with the next generation, put the all-new Ruth Bader Ginsburg picture book on your shopping list right now. Author Debbie Levy and illustrator Elizabeth Baddeley bring the justice's early days to light in I Dissent: Ruth Bader Ginsburg Makes Her Mark. The Ruth Bader Ginsburg picture book begins with the future justice's childhood in Brooklyn, where she was born in 1933. Growing up during the 1940s, Ginsburg encountered heavy sexism and anti-Semitism, as well as a prejudice against lefties — that's left-handed, folks. I Dissent follows the justice through her life, touching on her 56-year marriage to Martin Ginsburg, her time at Harvard and Columbia Law Schools, and her career as an appellate court judge and Supreme Court justice. The Ruth Bader Ginsburg picture book showcases her decades-long struggle with adversity, throughout which she stood up for her beliefs in life, liberty, and gender equality. In recent years, Ruth Bader Ginsburg has become somewhat of a pop culture icon to fans across the country. 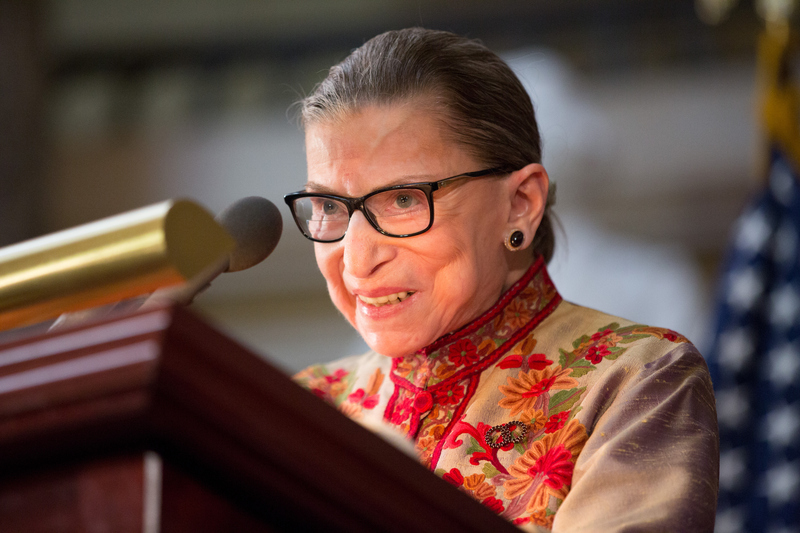 Known for her razor-sharp dissenting opinions and accept-no-nonsense interrogations, the Supreme Court's second female justice truly is the Notorious R.B.G. The Ruth Bader Ginsburg picture book, I Dissent, is available today from your favorite retailer.